When can we use Acrylic toenails? In dressing up for that special occasion we often need a little bit of that extra....extra something...or other, something to get those jaws dropping, something that gives us that WOW factor. They finish the 'look', and boy do they hit the big time, no one goes by without noticing, and the comments and admirers just keep on coming. Whether you are a traditional conservative type or an outgoing glam goddess, you can certainly hit the button with these toenail covers. There are acrylic toenails for all types, all moods and all styles. toenail polish. If they are done well, they achieve what they are suposed to achieve...the finished look. These toenail overlays are becoming more poular as the trend goes to open toed shoes and sandals, especially during summer months and at places like the beach, the parks, or downtown shopping malls. Once you notice them you will see them everywhere and you can have fun checking out the colors, styles and designs. However,and alas, they are not for everyone. Curious and intriguing, it can be said about acrylic overlays that they are stylish for some yet can be a nuisance for others. Feet and toes can be a tad unsightly if not groomed correctly and especially if they are exposed to traumatic activity, like balet or some of the running sports. Then the use of the acrylic overlays becomes unnecessary, even a hindrance, and in these instances, it is better to be without the nail covers for health and comfort reasons. However, the acrylic overlays do have a functional purpose too, they are not just to glam up a look. For those of us with broken nails or nail problems they can act as a replacement nail, for half-broken nails they can act as an extension, for badly contoured nails they can act as a cover. No-one wants jagged-edged, unsightly nails right? Smooth and stylish, and a recent addition to the world market are gel toenails. Like acrylic overlays, they too make your toenails vibrant and colorful. With a variety of designs and forms (yes, you can have those long nails structured), toenails can be just as glamorous as fingernails. Acrylic toenails can be made with French tips or designed with nail art such as floral images, geometric patterns and many others styles and designs. Miniscule gems or even real diamonds can be attached for that flashy or chic look. We all know a girl loves to be pampered, whether it is that spa treatment or a salon makeover. From a hair makeover right down to the tips of the toes it does feel great to be styled and spoiled once in a while. If you are looking forward to showing off your fabulous gel toenails or other extensions, then what are you waiting for? Just make sure to keep your natural nails healthy and bright, even when using acrylic toenails. Just be careful not to break them, it can bring tears.......Ciao. A superb step by step home study course with amazingly helpful forums. 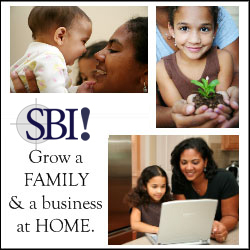 The energy from your fellow S.B.I ers drives you on to success, click on the S.B.I. box above to take a look. Spin the ferris wheel from the two arrows and select your product. A click on the picture will take you to the full product range.